The KIDS Network and the Medical Society of Sedgwick County co-facilitate the activities provided by the Maternal Infant Health Coalition (MIHC). MIHC is dedicated to making Sedgwick County the best place for children to be born and grow. MIHC’s mission is to improve maternal and infant health outcomes in Sedgwick County by assuring quality preconception and perinatal care and using data driven evidence-based practice and quality improvement processes. 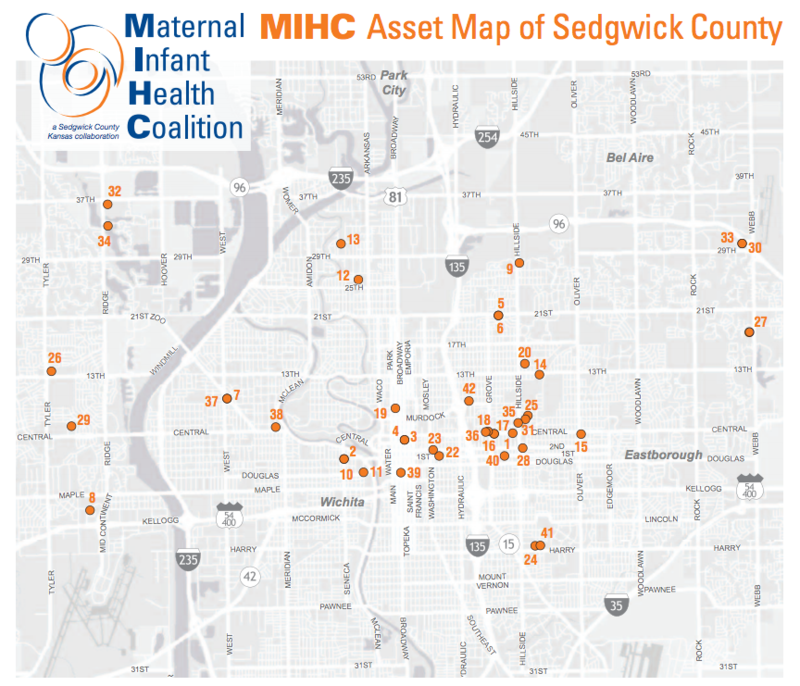 Learn more about maternal infant health resources in the asset map of Sedgwick County provided below.